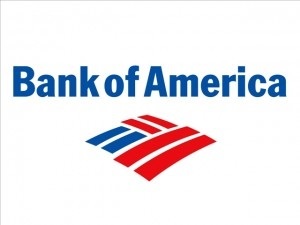 The Bank of America at Work program is now offering a $100 personal checking account bonus. To earn the $100 bonus you must open a Bank of America personal checking account with direct deposit. As a valued member of the Bank of America Bank at Work program, you can even earn earn a 0.15% discount toward your final Annual Percentage Rate on any auto loan on top of the $100 checking account bonus. These are some of the perks when you are apart of the Bank of America Bank at Work Program. For all fine print and frequently asked questions visit Bank of America online for more information. Bank of America may terminate the offer before that date without notice. Bank of America Associates are not eligible for this offer. To be eligible for this offer, you must not currently have a personal checking account with Bank of America. You are not eligible for this offer if you were a signer on or owner of a Bank of America personal checking account within the last 6 months. Bank of America offers quick access to your finances, control your money 24-7 from just about anywhere in the world—keeping track of it online, by mobile phone or even text. They also provide the tools to help you monitor your accounts—and to stay abreast of your finances so you’re in control. Get your Bank of America at Work personal checking bonus reward today. Check out our full list of Bank Promotions for all bank deals.